On this edition of Where's Larry Podcast, Host Danny is joined by special guest Will Thaxton, Production Designer for Impractical Jokers. 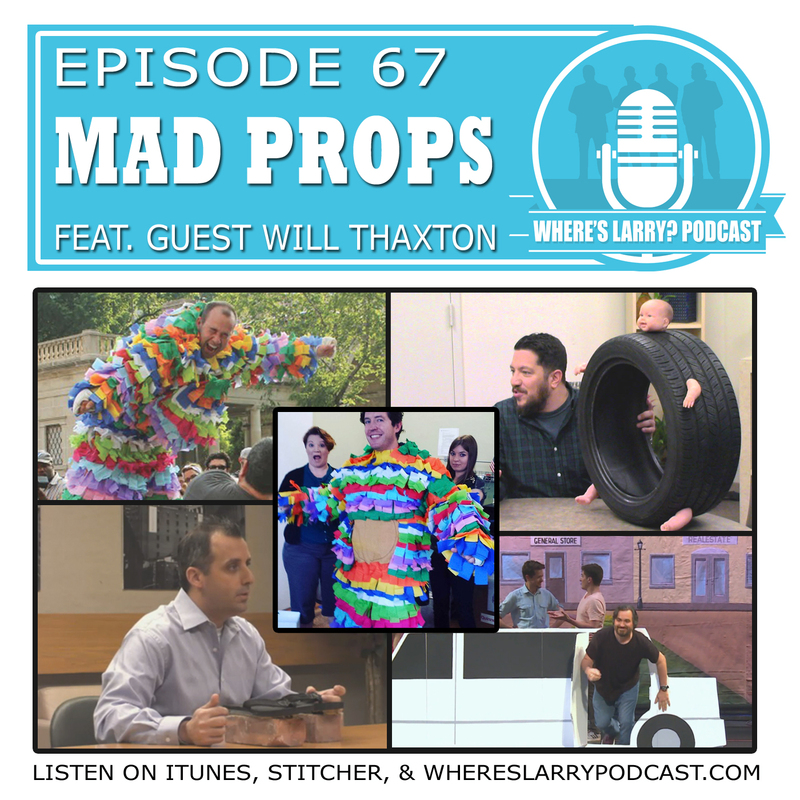 Will discusses how he got into designing sets and props for television and how he came to work with the jokers. They also discusses some his favorite props, costumes, and sets; as well as some of the his biggest challenges since joining the show. Episode 66: Why Am I Dracula? 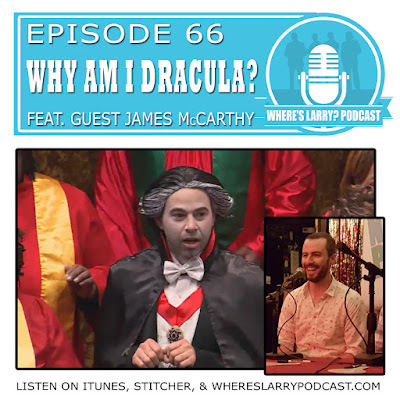 On this edition of Where's Larry Podcast, Host Danny is joined by special guest James McCarthy, Comedy Producer for Impractical Jokers. James discusses the thought process that goes into making a punishment and his roots as an improv performer with the UCB. They also discuss the latest episode of Impractical Jokers, Vampire Weekend (Season 6, Episode 5). On this "Round Table" edition of Where's Larry Podcast, Host Danny is joined by Chris Gio, Chris Laudando, and James Abbott. 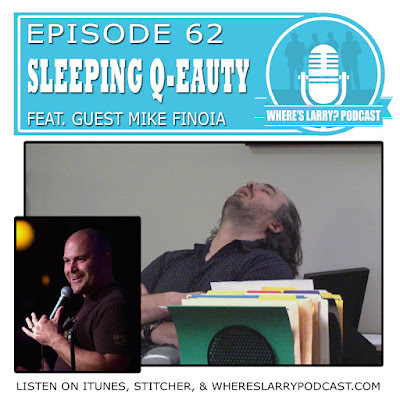 They discuss their favorite moments from the the first four episodes of Impractical Jokers Season 6. 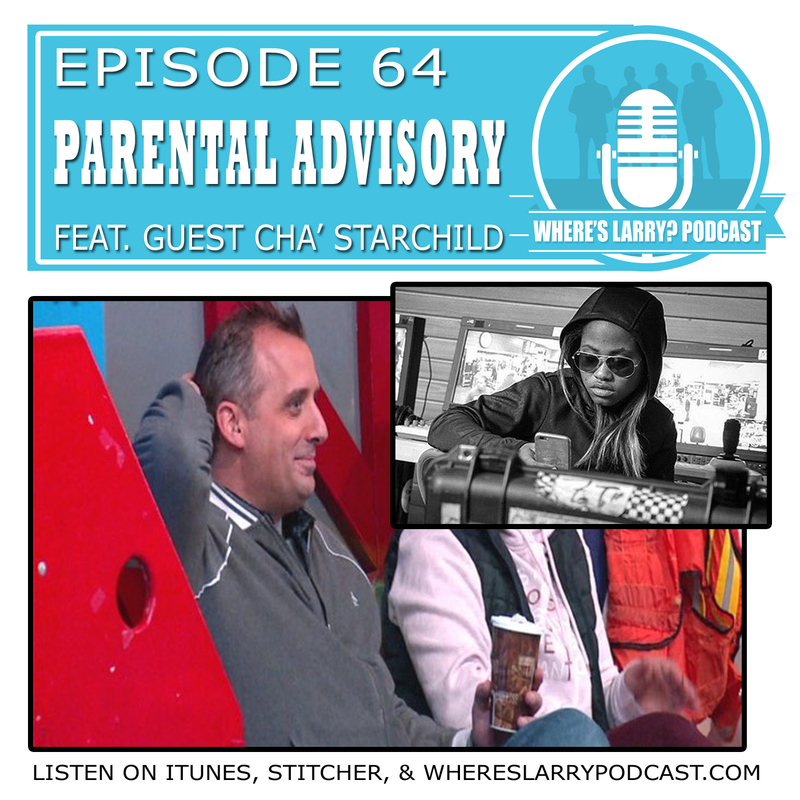 On this edition of Where's Larry Podcast, Host Danny is joined by special guest Cha' Starchild, Assistant Director for Impractical Jokers. Cha' discusses her role, which is essentially to keep the jokers happy on set. She gives some great insight into the personality of each joker and also reveals their most common food orders. They also discuss and recap the latest episode of Impractical Jokers, The Parent Trap (Season 6, Episode 3). The episode also includes the latest Tenderloins news and the fans choice for Joker of the Week. 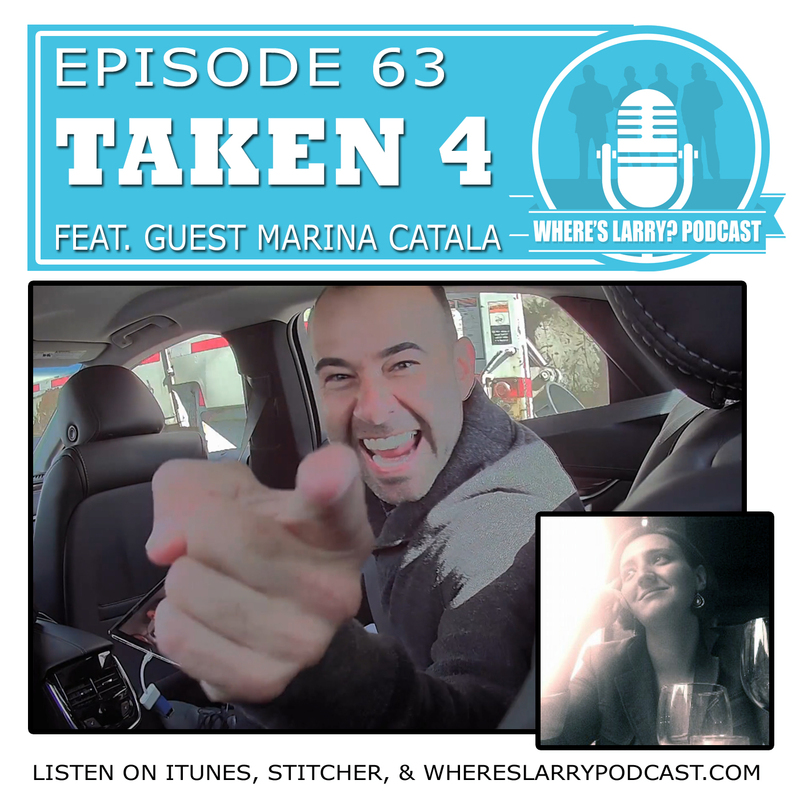 On this edition of Where's Larry Podcast, Host Danny is joined by special guest Marina Catala, Executive Producer for Impractical Jokers. Marina talks about how she's been involved in almost every aspect of the making of the show since joining the production team in Season 2. They also discuss and recap the latest episode of Impractical Jokers, Lady & The Tramp (Season 6, Episode 2). The episode also includes the latest Tenderloins news and the fans choice for Joker of the Week. 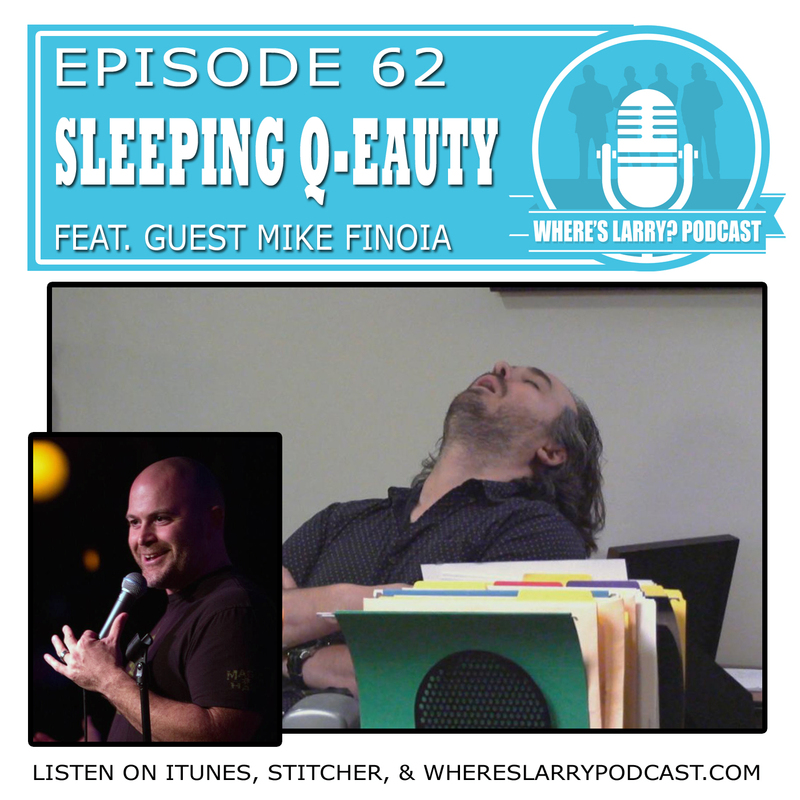 On this edition of Where's Larry Podcast, Host Danny is joined by special guest Mike Finoia, stand-up comedian and IJ Comedy Producer, to discuss the latest episode of Impractical Jokers, Swim Shady (Season 6, Episode 1). The episode also includes the latest Tenderloins news and the fans choice for Joker of the Week. Our holiday gift to you... A special holiday edition of Where's Larry recorded live from Impractical Jokers Headquarters, aka the offices of North South Productions. 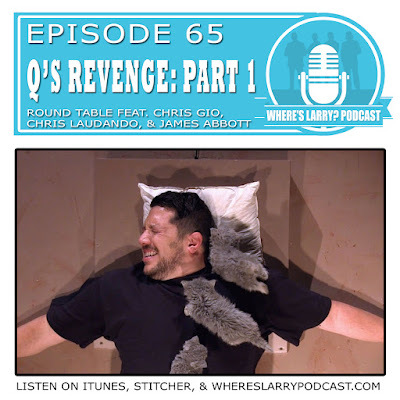 Danny is joined by the Comedy Producers of Impractical Jokers including: James McCarthy, Casey Jost, Joe Imburgio, John Szeluga, Mike Finoia, Megan Rico, and Gabriela Alicea. They discuss this season of Pie Day, the IJ insider fantasy football league, and share some crazy holiday traditions and stories. 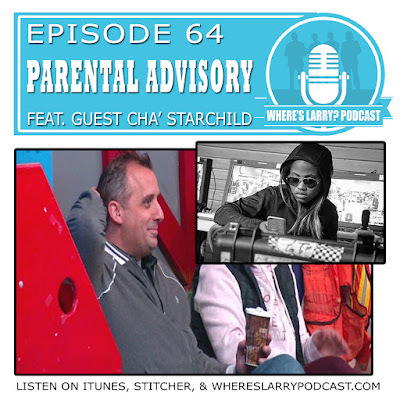 Where's Larry Podcast is a DailyDVR Production. Awesome Inc. theme. Powered by Blogger.